If your dog likes to spend time outside, they need a comfortable place to snooze. Choosing a bed specifically for outdoor use is a good investment. Not only are outside dog beds durable and waterproof but there are so many choices you’ll bound to get one to meet your dog’s needs. Whether you want a cool and shady space or a warm and cozy spot for your dog to sleep on there’s an outside dog bed suitable. We’ve chosen our top five. If you want a quick pick, we like the SUPERJARE elevated dog bed for overall versatility and durability but for more options read on. 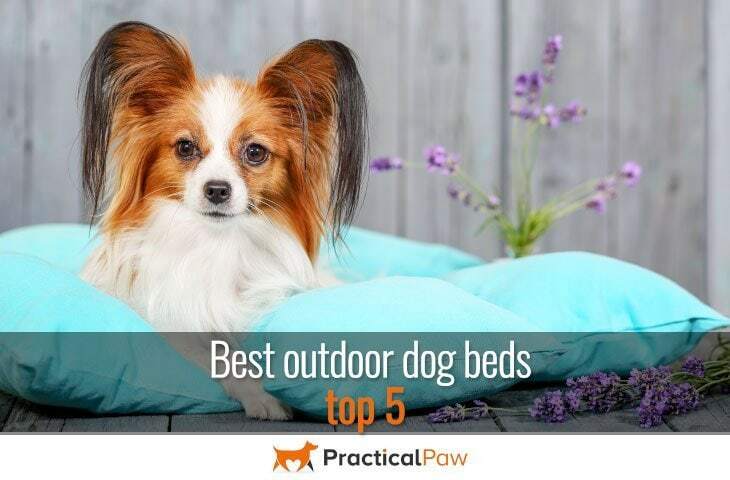 Even if your dog spends most of their time inside, it’s still worth considering investing in an outside bed. Not only do they offer relief from both the heat and the cold, but it will ensure your dog gets a comfortable sleep which is essential for their overall health and wellbeing. Our outdoor spaces vary and can include grass, concrete, wood or something else entirely. Temperature changes affect some or all of these surfaces. Grass gets damp; concrete can become exceptionally hot, wood can become splintered, etc. Providing a bed for your dog protects them from temperature extremes, damp, molds, and insects. Offering a soft spot for your dog to snooze will help protect their joints. 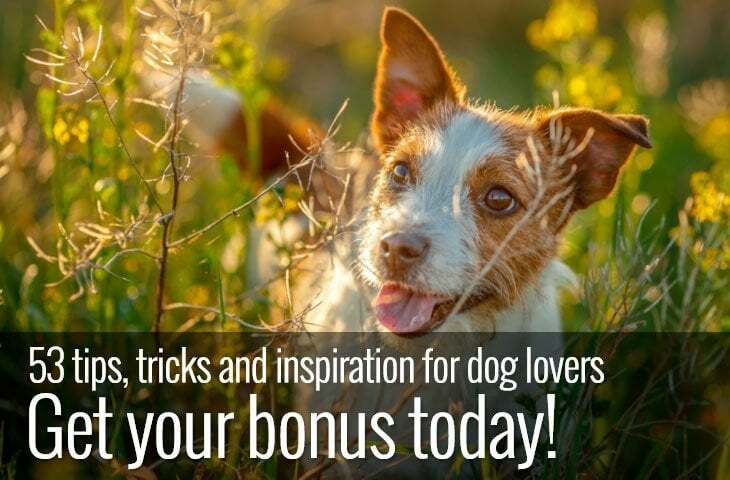 This is especially important for puppies as well as older dogs. If your dog has mobility issues or age-related conditions like arthritis, then a memory foam bed that’s suitable for outdoor use is ideal. Giving your dog a place of their own provides them with greater security. Just as with an indoor bed, an outdoor option should be a safe place for your dog to retreat to if they want. No matter what bed you choose for your dog, they will be sure to appreciate the extra padding. It doesn’t need to be complicated choosing a bed for an outside space. 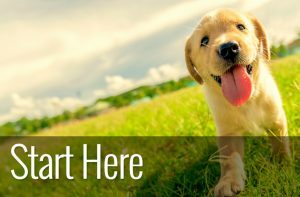 In fact, as long as you keep a few things in mind, it’s relatively simple to choose one that will suit both you and your dog. The first thing to think about is whether you need the bed to keep your dog warm or cool when they are spending time outside. As there’s plenty of choice for both it’s also worth thinking about other factors like; is there natural shade? Does it get damp? Does the ground get hot? Is there a chance of high winds etc. Much of your choice depends on the conditions of your outdoor space. Choosing fabrics and materials that are weather resistant ensures that your bed stays in good shape for longer. Both water and UV proofing protect against the worse of the elements. Breathable fabrics offer superior air flow which is perfect if you’re looking for a cool place for your dog to sleep. While water-resistant PVC provides a protective and safe cover for a heated outdoor bed. If you’re looking for a bed that you can use both inside and out, then it’s useful to consider how portable it is. While many beds are sufficiently light so you can pick them up, others fold up or can be taken apart for the ultimate in portability. Apart from these factors specific to outside dog beds, the basics of what to consider before buying a dog bed is useful too. For the ultimate in portability, this self-inflating dog bed from Lightspeed is ideal. Not only is it well-cushioned and comfortable but you can also roll it up and secure it with the built-in nylon straps when it’s not in use for easy and convenient storage. A puncture and water-resistant PVC fabric covers the foam pad. While the top is thick, fast drying fleece, both the fleece and the outer shell are machine washable which means it’s simple to keep sanitary. The convenience of this bed is hard to beat if you’re just looking for an additional outdoor bed for when the weather is good. With a twist of a nozzle, the inner mattress inflates, and it’s just as easy to deflate by opening the nozzle and rolling up. The pad is cushioned but thin. This giant cushion from Majestic provides a durable and comfortable outdoor space for your dog to snooze. Available in four sizes there’s bound to be one suitable for your dog. Not only that but the durable, water-resistant UV treated polyester comes in an impressive eight different colors. What’s more, the bed is well-padded with super plush polyester fiberfill. The zippered cover makes it easy to keep clean. It’s the perfect indoor/outdoor cushion for lazy afternoon snoozes. These beds are enormous which is great but measure carefully if you have limited space! If you’re looking for a cool and shady spot for your dog to snooze this bed is perfect. The elevated design combined with the canopy protects your dog from the sun while allowing the air to circulate keeping your dog cool. The steel frame assembles in minutes, and the durable 1680D Oxford fabric with mesh is tough enough for even the largest of dogs. There’s an optional mat at an additional cost for when the weather cools down so that your dog can continue to enjoy all the benefits of an elevated bed but still stay warm. What’s more, the portability of this bed makes it perfect for travel. It even comes with its own carry bag. Not only that but it’s simple to keep clean too. Hand wash with soap and water and let it air dry. If you want to keep your dog warm rather than cool when they’re outside, this electrically heated bed from K&H is ideal, best for covered porches, kennels, garages and even indoors. Not only is it soft, providing a comfortable resting place for your dog to sleep but it’s also thermostatically controlled warming up to your dog’s usual body temperature. What’s more, the PVC cover is water-resistant, and it comes with a faux-fleece removable cover that is washable. The bed comes with a steel-wrapped cord which makes it durable and there’s just over five foot of it allowing some freedom of placement. INDOOR OR OUTDOOR USE: UV treated, fade-resistant polyester with a water-resistant finish, wicks water away for longer-lasting use. SUPPORTIVE & COMFORTABLE: Extra padding provides superior comfort and support, while the channeled liner helps keep the polyfill stuffing in place no matter how much your pet moves around. PREMIUM QUALITY: This bed is built to last with its durable materials and high-quality construction. The super snoozer dog bed from Pet Craft is perfect for both indoor and outdoor use. It’s well-padded, and the Poly-fill wadding is kept in place by a clever channeled liner which prevents it from becoming lumpy and uneven. What’s more, the outer shell is a durable polyester which is both water and UV fade resistant keeping the bed looking good even when left outside. The whole bed is machine washable, and it’s available in two sizes as well as three colors. Providing your dog with a comfortable outdoor space to snooze is a good investment. Not only does an outdoor bed protect your dog from hot and cold floors but it also keeps them away from the damp. For overall versatility and durability, we like the SUPERJARE elevated dog bed as it’s simple to keep clean, perfect for warm weather and has the advantage of an additional cushion when the weather turns cooler.